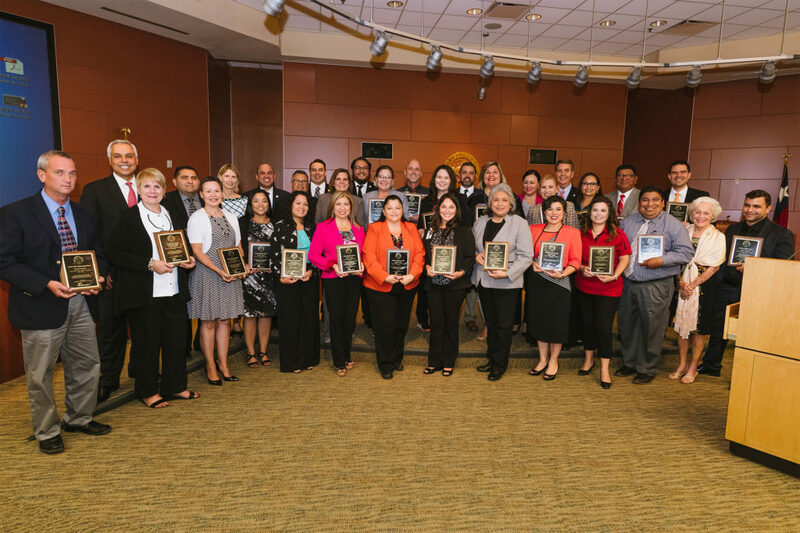 On Oct. 9, Harlingen CISD’s Board of Trustees recognized 25 schools for receiving one or more distinctions in the Texas Education Agency (TEA) 2018 accountability ratings. Overall, the district was awarded 101 distinction designations under the new A–F rating system. Additionally, HCISD earned Recognized Academic Performance, and for the first time since the inception of the STAAR program, it received the Postsecondary Readiness Distinction. Distinction Designations are awarded to campuses based on achievement in performance indicators relative to a group of forty schools of similar type, size, and students demographics. Campuses can earn distinction designations in the following areas: English Language Arts/Reading, Mathematics, Science, and Social Studies; Student Progress and Closing Performance Gaps in the top 25 percentiles; and Postsecondary Readiness.